The good old days are back at Ferrari, it seems, with intrigue, power struggles and secrecy the order of the day. How reminiscent of the seventies is the news that the company has instituted a criminal enquiry against Nigel Stepney, the technical manager until a re-shuffle earlier this year. The charge against Stepney is not being specified but a team spokesperson maintains that it is regarding his behavior, rather than any specific incident. What, he whistles out of key when concentrating? 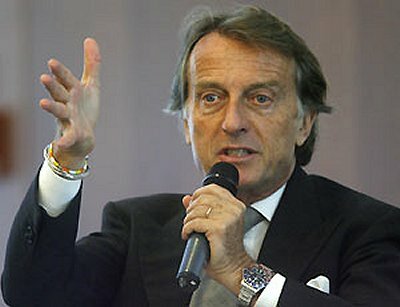 Or maybe he persists in taking Montezemolo's parking spot at the factory? It is hard to imagine what sort of "behavior" could be regarded as criminal or that a charge can be made to stick without specific incidences being supplied. Could it be that this relates to Stepney's admission in February that he was unhappy with the way things were going and wanted to take a sabbatical or even a change of employer? At the time, I thought it was strange that he should be so open about his situation at Ferrari, especially as the company does not appreciate its internal workings being made public. And, if this is the root of the problem, it seems a long reaction time and a dubious cause for legal proceedings. One can imagine that, if Nigel remained disgruntled after being moved from his previous position into Team Performance Development, his attitude might affect the morale of those around him but, again, that is hardly a basis for criminal charges. More likely is the rumor that sabotage of the cars before the Monaco GP is suspected, but that seems a bit over the top; what could Stepney hope to gain from it? There has to be a moral in the story and I would guess that it's "Never keep a dissatisfied employee against his will." Obviously, a part of Ferrari's reluctance to let Stepney go was the desire to prevent his skills going to a competitor; but that purpose could have been served by allowing him to take the sabbatical he wanted. As it is, all that has been achieved is a sordid mess that hinders the team's drive to the championship.